Grey House Publishing is dedicated to serving libraries and schools across Canada. That's why we offer a special deal that allows you to save when purchasing all our reference titles. Suite Deal Complete allows you to get 9 of our popular reference titles and save 40% off the list price. 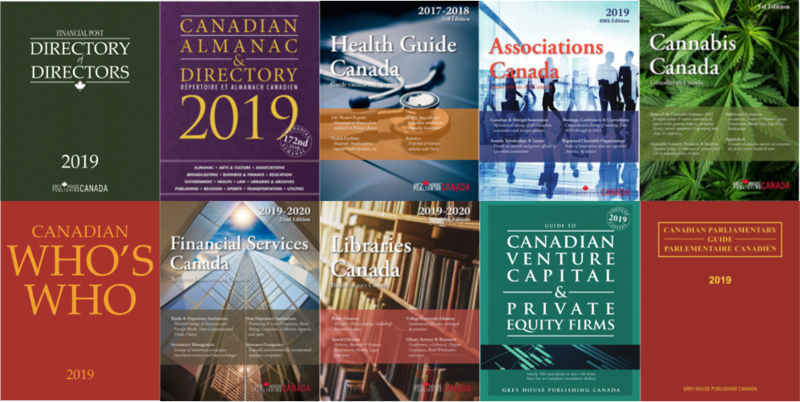 Plus, you'll receive Canadian Venture Capital & Private Equity Firms included with purchase of Financial Services Canada. If you already have one of our titles, you can also complete your collection at the same discount. Suite Deal Select allows you to choose any 5 of our titles for only $999.